William E. (Bill) and Robert M. (Bob) Lindley were born in Elkhart, Kansas in 1917 and 1918, respectively, and lived there until they moved to Doniphan, Missouri in 1935. 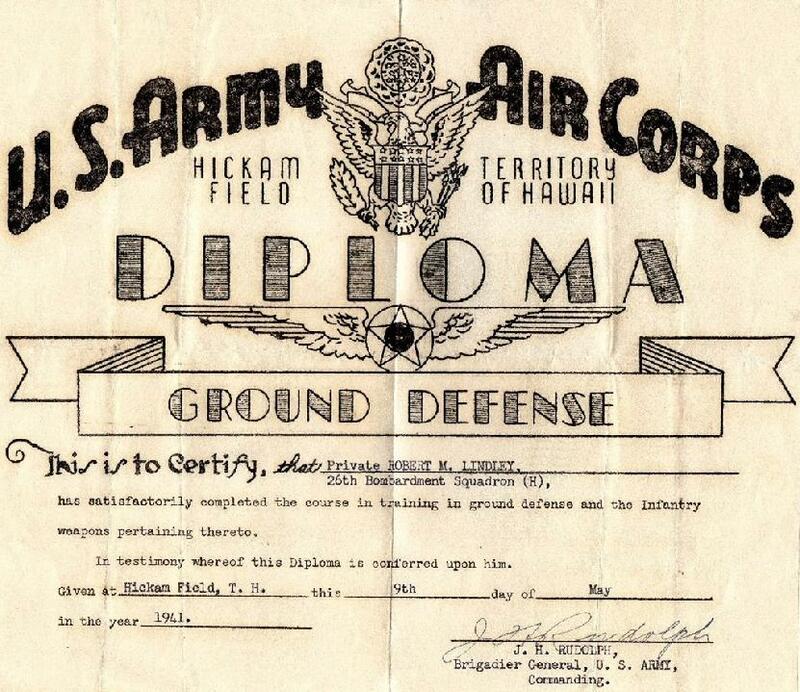 They both enlisted in the Army Air Corps on December 11, 1939 at Vancouver Barracks, Washington and assigned to Moffett Field, California while awaiting transfer to Hickam Field, T.H. They boarded the army transport Hunter Liggett from Angel Island on January 24th, 1940 bound for Hawaii. Both were assigned to the 11th BG with Bill in the 42nd and Bob in the 26th squadrons. They served in the Pacific conflict from Pearl Harbor through Midway and the Solomon Islands before rotating back to the States in 1943. 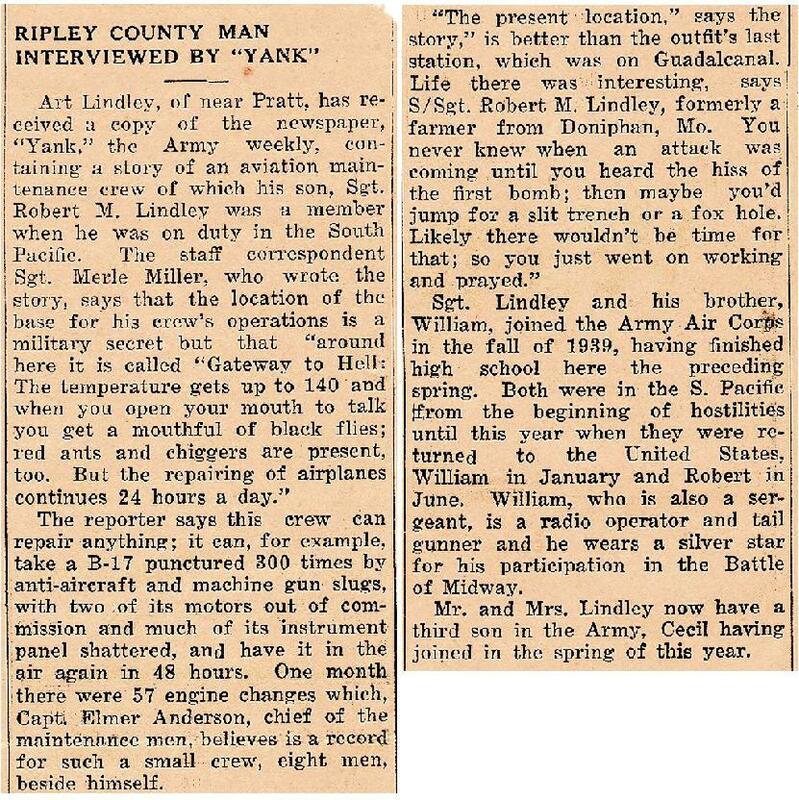 Bob Lindley was assigned to the Dyersburg Army Air Base at Halls, Tennessee and remained there until the war ended. 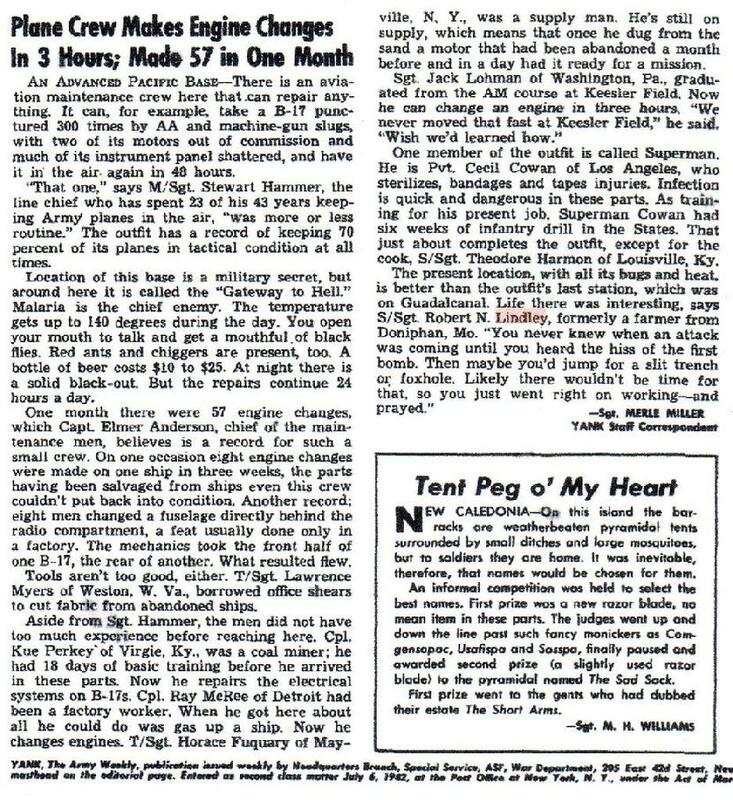 Yank Magazine Article - 2 July 1943.